Located on a cul-de sac in the Thornhill Grande Village of Cypress Lakes, this stunning pool home with nature views is ready for a new owner! 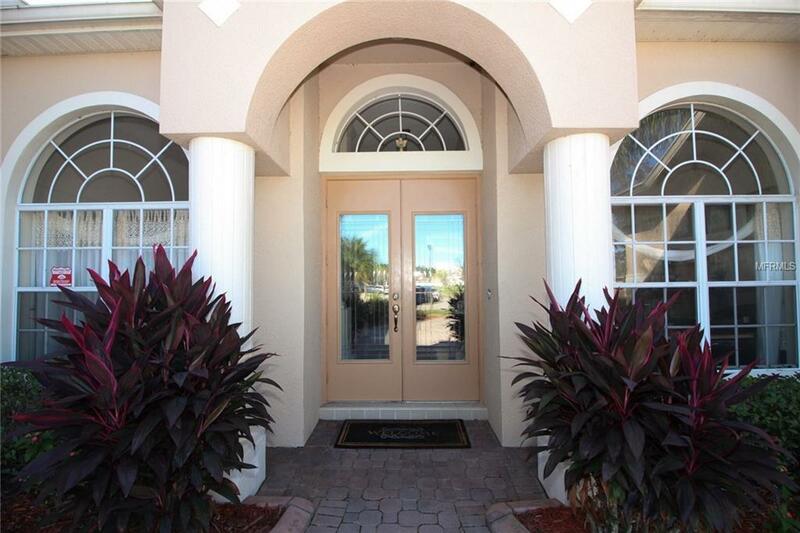 You are welcomed by mature landscaping, brick paver driveway, 2 car courtyard garage. Eight foot entry glass doors open to soaring volume ceilings and an abundance of natural light. 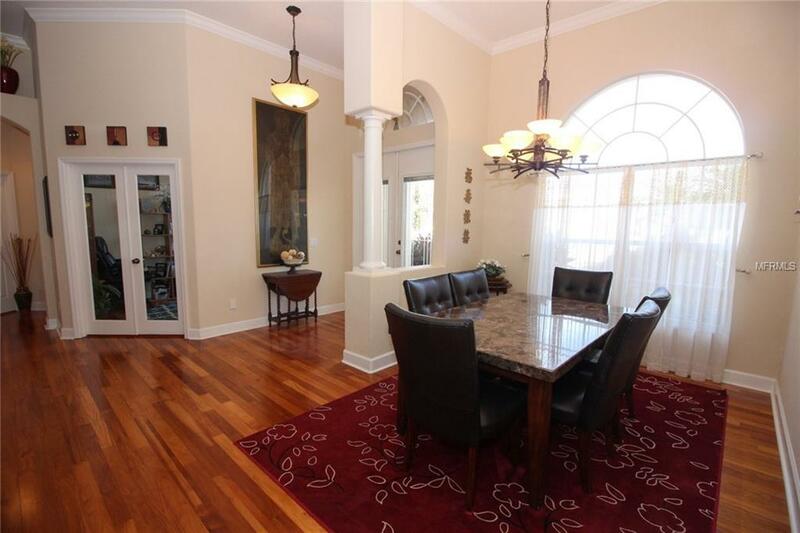 Formal dining & living areas, plus a home office encased by double glass doors are at the front of the home. A kitchen design to impress w/ 42 inch maple cabinets, island, granite tops, raised breakfast bar, tech station, stainless appliances, & glass backsplash. Bedrooms are positioned in a 3 way split, creating privacy for everyone. The master retreat is expansive with the angled sitting room, direct access to your private pool, wood floors, dual closets & a private vanity area. The 5 piece master bath has separate vanities, private water closet, soaking tub, & a huge walk through, shower complete with 2 shower heads! 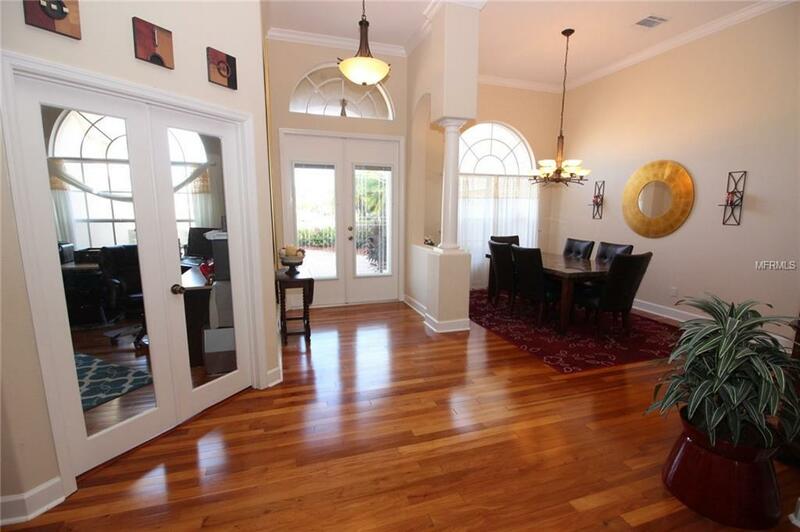 Enjoy entertaining on your covered lanai, by your sparkling screen enclosed & solar heated pool, with conservation view. Plus a upstairs bonus room w/ pool table to amuse the family. This award winning, master planned, lifestyle community is convenient to highways, international airport, Research Park, Waterford Lakes, University of Central Fl., NASA, Space Coast & Beaches. Amenities include: remodeled clubhouse w/ kitchen & fitness area, swimming pool w/ dual slides, kiddie pool, tot lots, tennis & basketball court, dog parks, & junior soccer field. Additional Lease Restrictions Copy Of Lease Has To Be Supplied To The Hoa Board. Minimum Of 12 Month Lease No More Than 2 No Related Adults. Pet Restrictions Please Reach Out To The Hoa Management Team To Confirm The info.